All vehicles make noise from time to time. A brake screech when you stop is not necessarily an unsafe condition; but it could be. It can also be an indicator of a service being required very soon. There are a wide variety of different types of brake pad and shoe materials. There are also different materials that brake rotors are made from. Typically, lower cost parts are made from softer materials, which also mean they wear faster and have to be replaced more frequently. All these materials have different characteristics as far as wear and brake noise. If you have a brake noise, bring it in for an inspection. Giving these noises attention early can not only keep you safe, but save you money! It’s always cheaper to maintain than wait for a breakdown. Typically a grinding noise is a dead giveaway that it’s too late. The longer you wait, the worse the problem gets and the more parts need to be replaced, with accompanying higher cost. It probably goes without saying that safety when it comes to brakes should never be compromised. We use high quality parts to ensure we keep your vehicle on the road for as long as possible with wider service intervals. Got a noise? 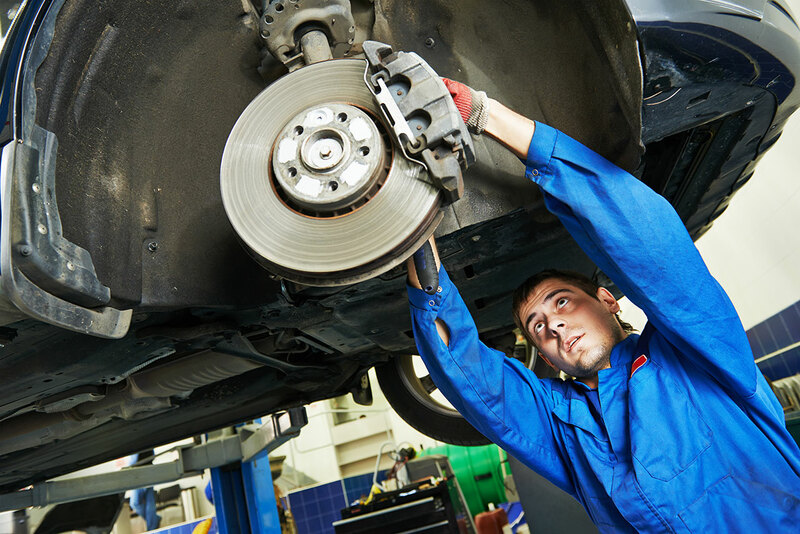 Bring it in and let us tell you whether its just normal brake noise or if a service or repair should be scheduled. Some folks think that brake fluid lasts forever. The truth is that most brake fluids are hygroscopic. Thats a fancy word for they absorb water! Although the exposure of brake fluid to the environment is minimal, it is exposed and gathers water over time. Also over time that water tends to oxidize the brake fluid, contaminating it and most importantly, reducing it’s effectiveness. The temperatures of a braking system in heavy use easily exceed the boiling point of water, then creating an expansion of gas within the braking system, which causes additional problems. Perhaps most importantly, if the above isn’t enough, is the presence of water (H2O) causes oxidization in anyplace it gathers, which would be in the pistons of the calipers, the lower portion of the master cylinder and even sections of brake line. These gatherings of water easily corrode the surfaces causing leakage and ultimately failure. All caused because of the lack of an inexpensive fluid change. 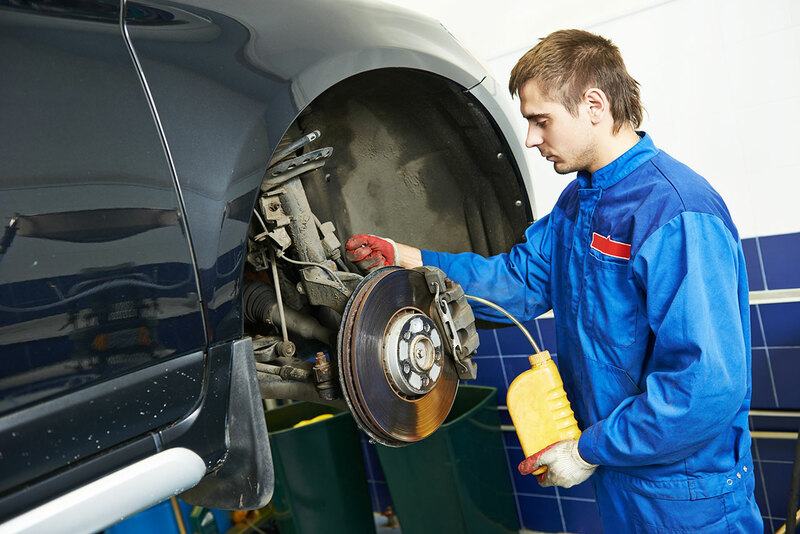 When was the last time your brake fluid was changed? If you don’t know, please contact us today to schedule a fluid change!